Este año celebramos la 22º edición del tradicional Open Internacional de Ala Delta y Campeonato de Canarias. Nos sentimos ilusionados de poder compartir con todos vosotros este nuevo campeonato que celebraremos entre los días 2 al 8 de Diciembre (ambos inclusive) en la isla de Lanzarote. 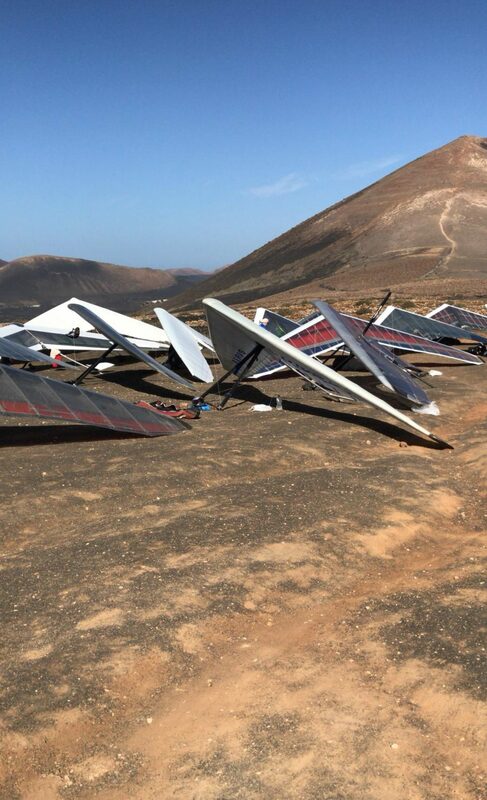 This year marks the 22nd edition of the traditional International Hang Gliding Open & the Canary Island’s Championship. We would like to share with all of you this new edition to be celebrated from the 2nd to 89th of December (both inclusive) in the island of Lanzarote. Taking advantage of the excellent conditions for hang gliding that occur in this place. So enjoy the fantastic scenery and good climate that gives us the Canary Islands.